craft ideas use common and inexpensive reusable materials that otherwise would be discarded. Best of all, these projects are fun and allow the children to express their artistic talent. So why not promote some creative thinking and plan some toddler Easter crafts with recycled materials? When Easter Day finally arrives, it heralds the official arrival of spring. This holiday reminds people of springtime, baby animals and new life. These crafts will help the children learn what symbolizes Easter while developing social, sensory and cognitive skills. The children will enjoy making them–and the parents will love receiving them–so get your youngsters started now. The parents will be delighted with this Easter card. Each and every card is an "original masterpiece" created by a child. Allow children the opportunity to explore their artistic freedom. To begin children should be placed in small groups. Each child should be supplied with a piece of folded construction paper, glue, safety scissors and each group a pre-cut pattern. (Note: Teacher should rotate the pre-cut patterns so all of the children have a choice.) Once the children have selected a pattern, help them trace the chosen pre-cut pattern onto the front of the Easter card. Allow the children to decorate the Easter cards. 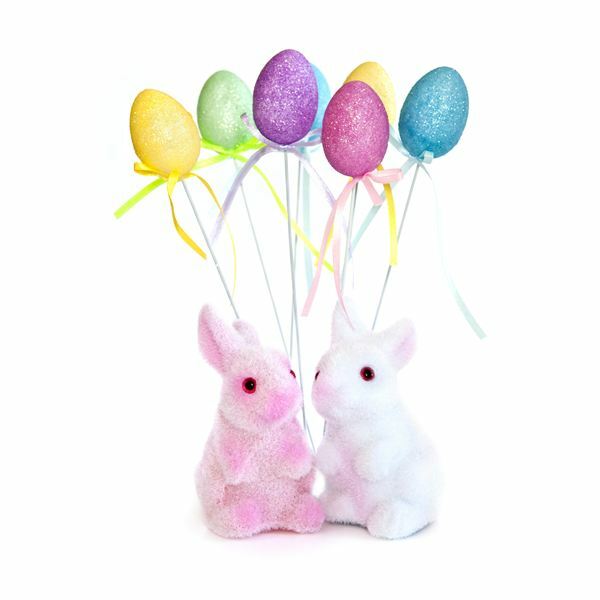 The following craft ideas may be used to decorate the Easter cards if desired: Easter stickers, multi-colored markers, crayons, small bows, plastic Easter grass, spring pictures from magazines and greeting cards. Easter Eggs: Fabric, rickrack, felt, ribbon, paper doily’s, lace, colored construction paper, tissue paper, small scraps of gift wrap, and colored markers. Flowers: Paper, construction paper, poster paint, tissue paper, dried or silk flowers, plastic/foam egg cartons (trimmed to look like flowers), cup cake liners (small flowers), and coffee filters (large flowers). (Tip: Liners/filters may be dyed with food coloring if desired. Allow for drying time.) Pipe cleaners or wooden craft sticks may be used for the stems of the flowers. Bunny: White tissue paper, cotton balls for body and tail, tongue depressors or wooden craft sticks for ears, pipe cleaners or broom straw for whiskers, and felt for facial features and ears. Sheep: White paper, construction paper, poster board, self-adhesive reinforcement rings for sheep’s curly coat, and black poster paint for face and legs. This toddler Easter craft is easy and very little assistance will be required. Pre-cut patterns made from cardboard and glued to construction paper in advance will simplify this craft. The children will be delighted when a picture appears. Begin by placing the children in several small groups. Teachers should supply each group of children with one of the pre-cut patterns, white construction paper and crayons. Have the children place the white construction paper over the pre-cut patterns. Next, rub over the white construction paper with the side of a crayon. Rotate all of the pre-cut patterns among the groups of children. Being creative with recycled materials will get little learners accustomed to earth stewardshp, so we can all have a greener tomorrow. Remember to save recycled materials to use in future crafts. Have a fantastic Easter.